"Today, December 22, is celebrated as the National Mathematics Day in memory of the great mathematical genius Srinivasa Ramanujan. We thought it is apt to remind all readers of the need for doing something more for the natural geniuses and thereby, to the scientific and technological development of India." continues The New Indian Express. Hence this proposal for a school for genius children. Though we as individuals and all countries in the world owe a great deal to the contributions of many natural geniuses in many fields like Albert Einstein, Isaac Newton, Srinivasa Ramanujan, Peter Kapitza and Euler, we forget the fact that natural geniuses are often not supported by nature and struggle to cope with day-to-day life and its harsh realities which sometimes snuff out their creative potential. The example of Srinivasa Ramanujan trying to commit suicide by jumping in front of a train in England in spite of academic support is a case in point. Celebrated analytic philosopher Ludwig Wittgenstein’s resignation from Cambridge University, where he was a professor of philosophy, to work as an ordinary porter at Guys hospital should bring our attention to the difficult life experiences of such people. Allan Turing, famous for his Turing machine, committing suicide was a great loss to the world. We have to develop enough sensitivity for people who carry the hot sun of creative genius within them just to get their wings and life burned in their attempt to show the light to the entire world and posterity. Once we understand the complex and painful life experiences of natural geniuses, which are similar to Vincent Van Gogh’s, it becomes our responsibility to do something to be of help to them. After all, these are people who may not derive personal benefit from their talents and even they do, they may not enjoy it. We have before us the example of Wittgenstein, who though born to a father who was equal to a Tata and Birla of Europe combined, gave away all his inheritance to poor artists and relatives and finally had to struggle even to procure food to keep himself alive. There is an urgent need for higher order contributions for revolutionary transformations in various fields. Mathematics is a subject where we need such input as it is the basic language of the universe and only with the faster development of mathematics can we hope to make rapid strides. Even great changes in social spheres are very much linked to developments in mathematical sciences. We must understand that most of the great contributions in mathematical sciences were made by people of natural genius who were very intuitive. 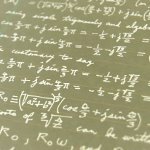 Though academic mathematicians also make some contributions, it is a fact that most of the time their contributions are ordinary and never amount to anything that is path-breaking. Contributions of an earth shattering nature are made by natural geniuses who come to the field from the alleyways of life situations. Most of the times these people are born in very poor and unexpected situations and do not have the privilege of getting elite education. They are people who are like the lotus which blooms in the mud.